You need a good pen this Valentine’s Day rather it is to write a poem, fill out a store bought card or make your own that you can look back at for years to come. Pilot pens has got you covered with the G2 Limited Retractable Gel Roller you can enjoy writing perfection in a sophisticated metallic body with rich silver accents. Has a dynamic gel ink formula that is smooth writing with a 0.7mm fine point, rubber grip for writing comfort, refillable, metal clip provides rich detail, retractable and has black ink but you can get other ink colors blue, pink, burgundy and much more. 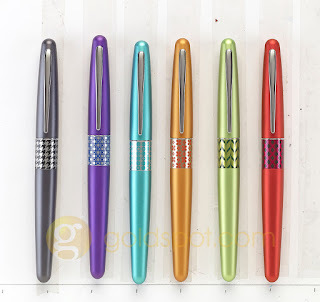 MR Retro Pop Collection Turquoise brings together the vibrant colors, energy, and motifs of the late 1960s and 1970s with the same materials and quality craftsmanship of the MR line of pens. 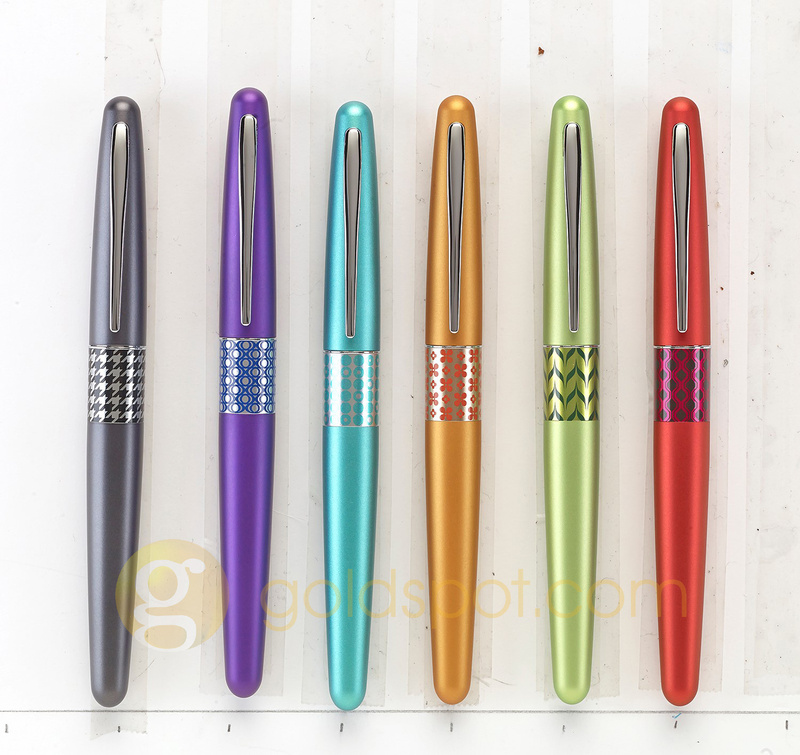 These writing instruments feature brass barrels and stainless steel accents and nibs of the MR Line, along with striking new pops of color and coordinating retro patterns on ‘middle ring’ designs. The Collection is available in 6 stunning matte finishes so you can select the perfect pen to ignite your creativity and writing. Elegantly presented in a black gift box and available in a variety of points. 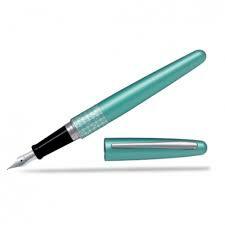 Refillable black ink only for continued use. My Opinion: I really enjoy gel pens and this one is easy for me to hold and use, the gel ink worked like a charm to sign my husband’s card for Valentine’s Day along with writing. The MR Retro Pop pen reminded me of the times they used fountain pens and this is my very first time using a fountain pen and the color for me was just right and the ink worked just fine. 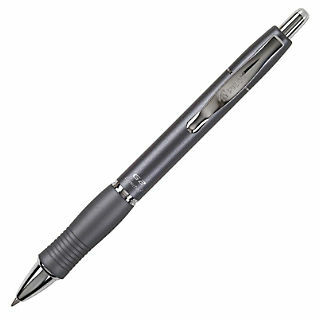 These are perfect gifts for lawyers, doctors and anyone who loves pens.